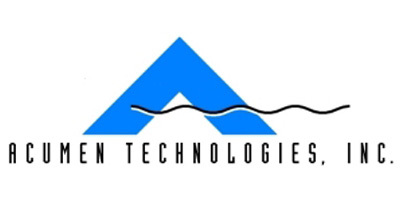 Acumen Technologies, Inc. was established in November, 1997. We began as a group dedicated to the manufacture of high quality, precision fluid delivery systems. Our employees have extensive experience in this discipline and are driven to be the finest supplier of these systems in the world. Acumen Technologies, Inc. has a distributor network where strategically located, technically trained personnel are available to provide field support for the products we offer. It is our mandate to deliver the proper amount of fluid, where it is required, when it is required, every time it is required. It is imperative that the products we offer satisfy current industry needs, and that we remain focused on the identification of opportunities for the future. Engineered solutions to process and manufacturing problems, in the arena of fluid delivery, is our foundation.